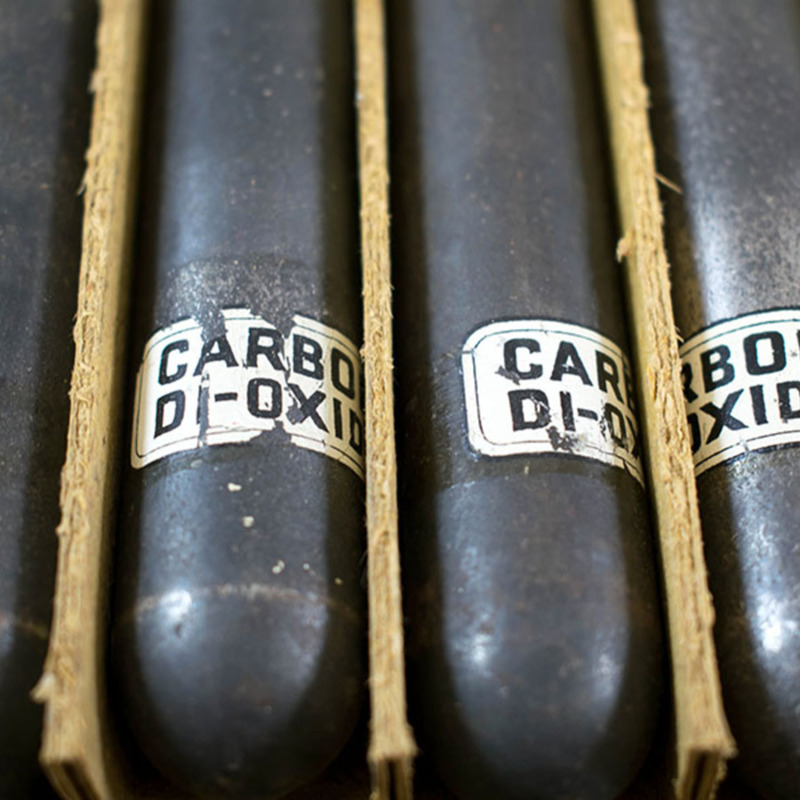 Cardboard box containing 6 metal bulbs filled with carbon dioxide. 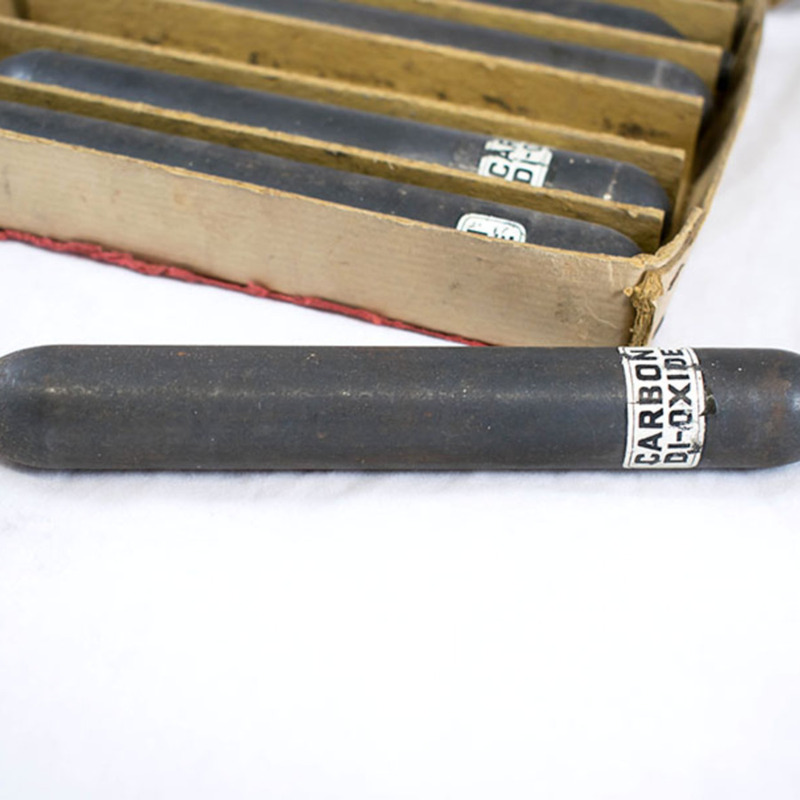 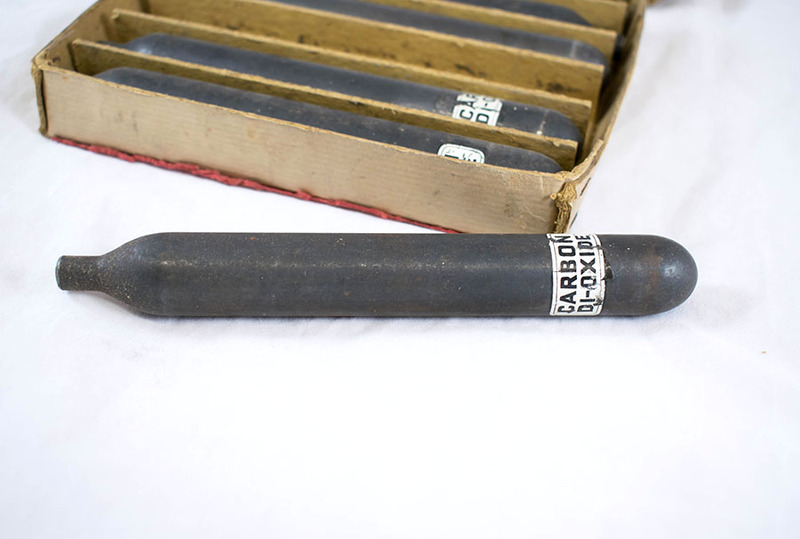 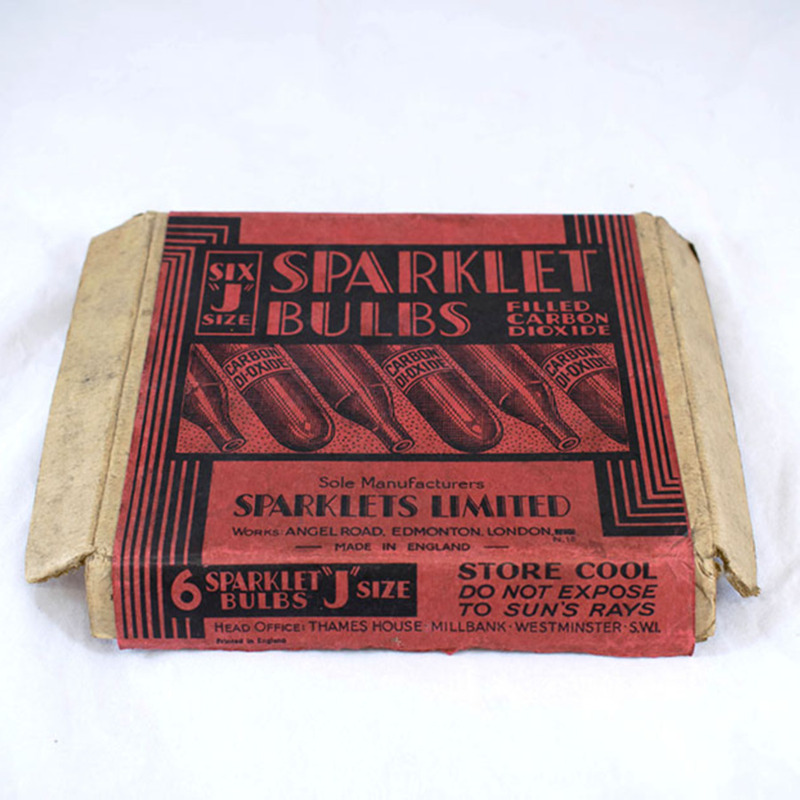 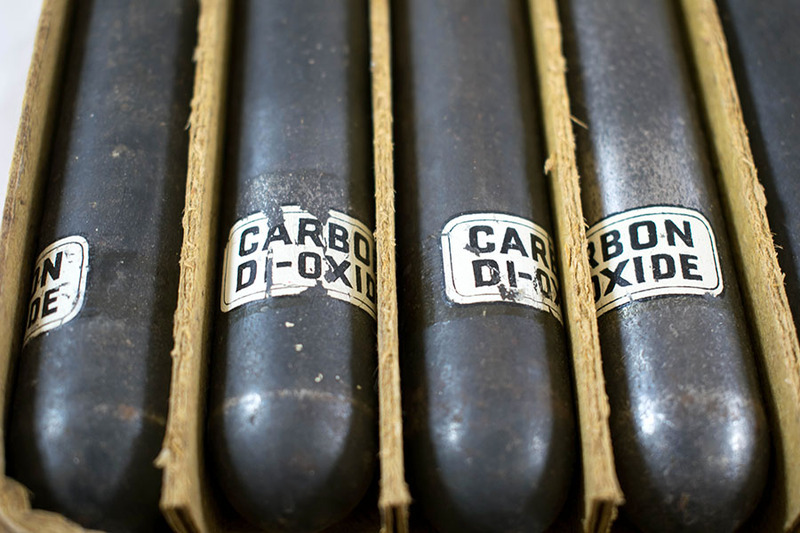 “Sparklet Carbon Dioxide Bulbs,” Heritage, accessed April 22, 2019, https://heritage.rcpsg.ac.uk/items/show/583. 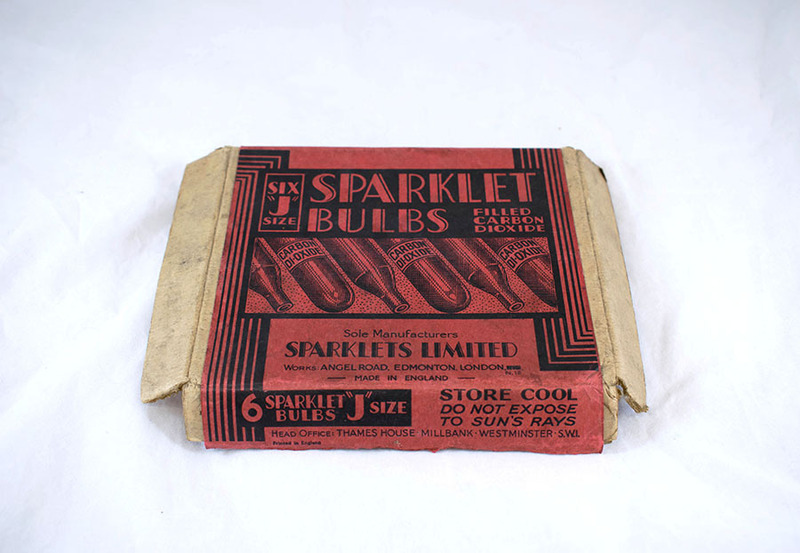 Description: Cardboard box containing 6 metal bulbs filled with carbon dioxide.